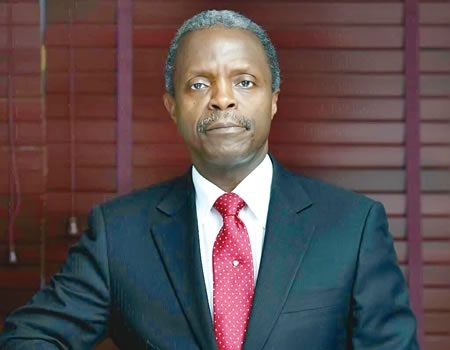 VICE President Yemi Osinbajo has launched the Patient Bill of Rights which he said is a significant contribution in establishing one of the most important rights of all humanity: the right to life in which inheres the right to adequate healthcare. Speaking at the ceremony at the Banquet Hall of the Presidential Villa, Abuja on Tuesday, he said the initiative was to set and commit to a new standard that both acknowledges and commits to uphold some of the most fundamental principles of our common humanity. He noted that the deference to the supremacy of human dignity is the responsibility not only of medical personnel, but everyone in the healthcare value chain: government, regulators, insurers, administrators, family and/or primary caregivers, and even the final consumer. According to him, mutual respect helps ensure that interactions build confidence, enhance care and improve outcomes. Osinbajo stated that the Patients’ Bill of Rights is a remarkable effort at consensus and common purpose, in the face of the many challenges of our health care system in Nigeria. He added: “It cuts out the noise and distractions, and focuses on what is truly most important: putting people first. It serves as a code of accountability, constantly reminding us of the primary purpose of the healthcare system, and of the obligations of every player and stakeholder in that system. It helps clarify consumers’ expectations of providers and the providers’ responsibilities to consumers. The Vice President observed that the Patients’ Bill of Rights is a very timely complement to these policy and funding interventions. Osinbajo affirmed that government’s aim is to develop a standard worthy of emulation, by ensuring strict compliance with and the enforcement of the Patients’ Bill of Rights. He said: “We must hold ourselves – professionals and patients – accountable to the rights that this document enunciates, and when we see others who should, but do not, we must insist that they do. He added: “Protecting rights in the healthcare sector is of particular importance, and is a defining feature of how society should, and must operate. “The reason is not farfetched. Like I said earlier, needing medical attention is many times the most vulnerable or weakest point for both patient, and many times family. “It necessarily connotes desperation, and a combination of these lead to significant impairment in decision making and exposure to abuse and exploitation.